We used to call these “wild canaries,” even though they are an entirely different species. If you ever see a male its summer plumage, you can see why. This is an American goldfinch, which is also a distinct species from the European goldfinch. 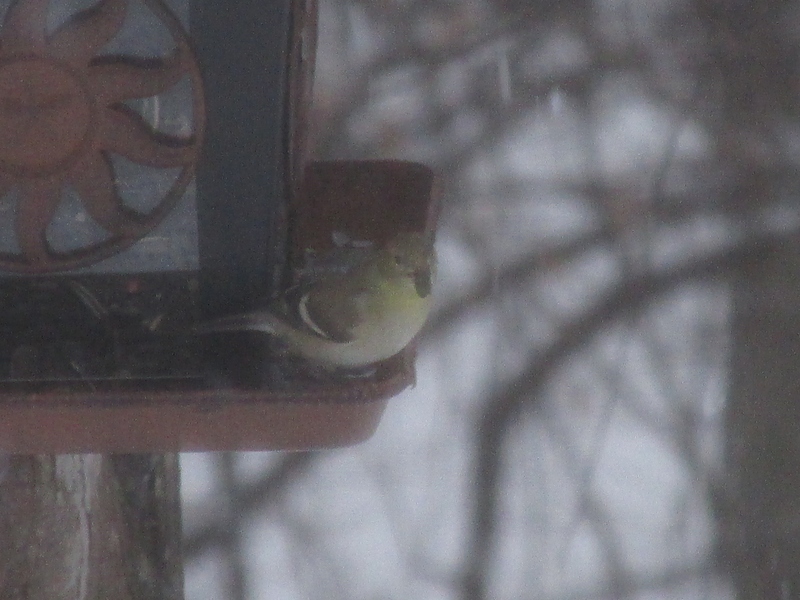 It is poking down the snow, so we’ll see what else shows up today at the feeder.